If you’re looking for headwear to adorn your bridesmaid, why not consider hair fascinators such as flowers or shapes. CloisonnŽ is just one example of what bridesmaids can wear on the special day. 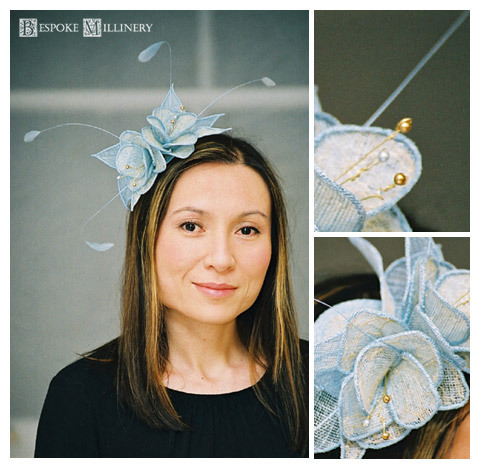 These flowers are made from a fusion of lightweight dusty blue straw, luxurious gold Chantilly lace with matching pearl stamens and feathers.